"Ukulele Heaven is the home of NZ Ukulele players." and the Hibiscus Ukes . 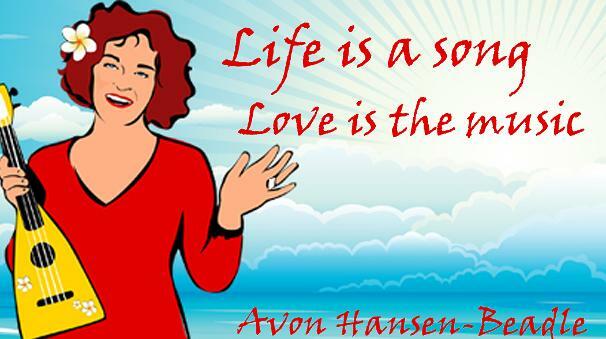 Avon Hansen Beadle has been teaching these groups for 6 years and has a simple philosophy,"Life is a song, love is the music ". music dance and drama. She has a great time teaching a wide range of music to cater for all tastes. 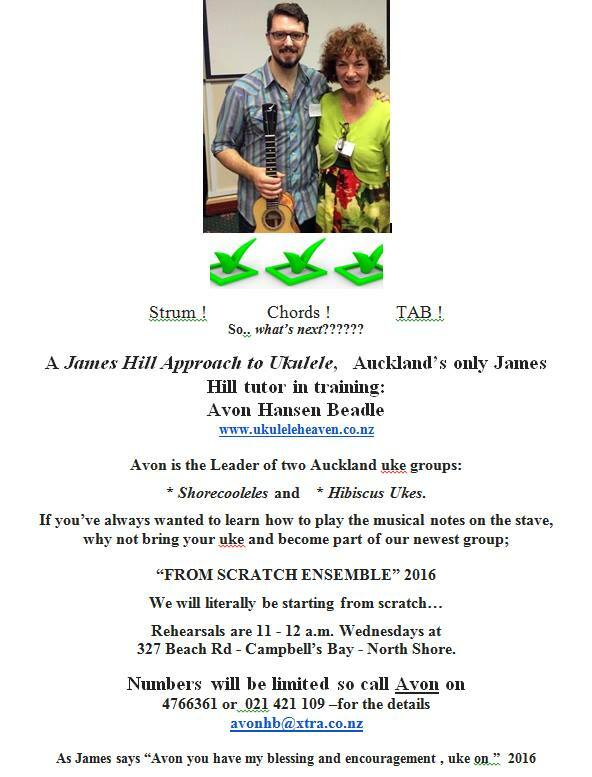 Her group perform at least once a month in and around Auckland and Northland.Theme song composed by Avon. then, despite still being doddery old clowns, we will not be late. Thanks for the email and the lesson.